The federal government has virtually unlimited resources and aggressively prosecutes all significant drug cases. If you are under investigation or have been charged with any drug crime, you will benefit greatly by retaining an attorney who has experience handling federal drug cases and is willing to aggressively defend your rights and your freedom. Attorney Glassman handles cases involving all types of drugs, such as cocaine, crack, heroin, large quantities of marijuana, ecstasy (MDMA), methamphetamines and prescription medications. In addition, he has also defended individuals accused of crimes involving synthetic drugs such as Spice/K2, bath salts and others. Handling federal drug cases in New Jersey and across the U.S. In addition to handling federal drug cases in New Jersey, Attorney Glassman has handled federal drug cases in numerous other federal jurisdictions, including New York, Pennsylvania, Washington, D.C., Maryland, Massachusetts and Florida. Many drug cases are the product of a search warrant, detention, motor vehicle stop, and search incident to arrests. Attorney Glassman evaluates each case with a view toward challenging the seizure of the drugs and underlying conduct of the investigative agency involved. When law enforcement has broken the law in seizing the evidence used against you, he will work diligently to have the evidence suppressed and the case dismissed. Attorney Glassman’s goal is to preserve your freedom and obtain the best possible outcome. He will not hesitate to go to trial when needed. In cases that require plea bargaining, every facet of the case will be evaluated followed by a comprehensive review of a client’s background and application of the Federal Sentencing Guidelines to the case. 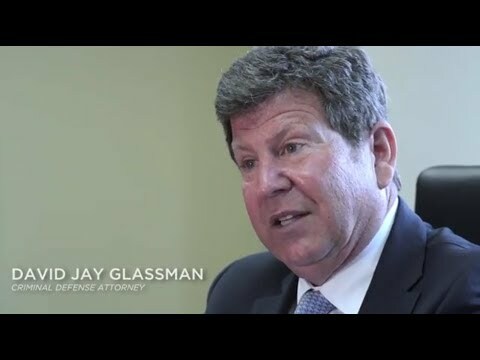 Attorney Glassman has earned a reputation for his sentencing work and has obtained downward departures from the Federal Sentencing Guidelines in a number of cases. As the guidelines are “advisory,” Mr. Glassman has excelled in using his 35 plus years of experience in crafting creative sentencing arguments resulting in the best possible sentencing scenarios for his clients. Sentencing proceedings in federal court are as significant as trial. Attorney Glassman will work aggressively to obtain the best possible results for his clients who have been charged with federal drug crime offenses. Convictions for federal drug crimes carry serious penalties. The first step in protecting yourself and working toward the best outcome is calling the right lawyer to defend you. Contact attorney David Jay Glassman directly at 866-221-1270 or contact his law firm online. Your initial consultation is free. Mr. Glassman represents clients throughout New Jersey and nationwide.